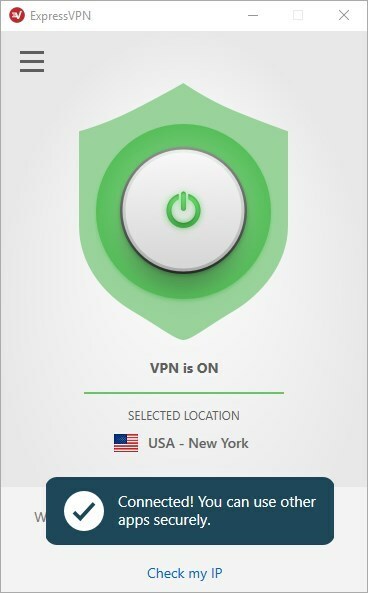 Choosing the right VPN can be a real headache, and we are here to help you make your choice with this ExpressVPN Review and giveaway. ExpressVPN's installer prompts you to enable sharing crash reports, speed tests and successful connection attempts. Even thought these don't contain personal information, you can disable the option for your privacy and convenience. The activation process of ExpressVPN was unique, in that there was a URL from the registration email, which when opened contained an activation code. All we had to do was copy this code and paste it in the desktop application, to sign in to the account. You can use the select location option to connect to any of the VPN's servers. ExpressVPN has servers in 94 Countries around the world, in 148 locations. The total number of available servers is over 2000. Some Countries listed in the application, have multiple servers, which is useful, in case you try to connect to one server and it is slow or something. ExpressVPN supports UDP, TCP, L2TP, PPTP and SSTP protocols for connectiing to the server. There is a kill-switch which stops the internet traffic when the VPN disconnects, to ensure your privacy. The Split tunneling option allows you to manage the VPN connection on a per-app basis, so you can set certain specific apps to use your regular internet connection, and other apps to use the VPN's encrypted connection. There are web based tools available on ExpressVPN's website, which you can use to find out your IP address, and also to check for DNS leaks and WebRTC leaks. ExpressVPN browser extensions are available for Google Chrome, Mozilla Firefox and Apple Safari. So, even if you don't want to install the desktop app, you can still secure your browsing sessions with the add-ons. This can be useful if you don't download content using the VPN or don't mind other programs connecting to servers using your normal "insecure" network. 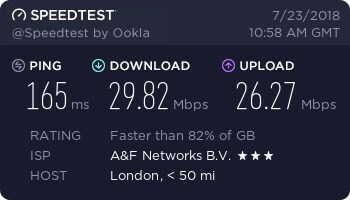 The VPN's desktop application has a built-in speed test tool, using which you can select any of the VPN's servers around the world and see how fast they are. This is something which most VPNs don't have. That being said, the tool did crash during the tests, but the VPN connection was fine and stable. A lof VPNs offer simultaneous usage on 5 devices, but ExpressVPN only allows 3 devices to be connected at the same time, which for the price seems like a big let down. You can use ExpressVPN to unblock websites which are not available in your Country. You can also access streaming services like Spotify, BBC iPlayer, Netflix using the VPN. 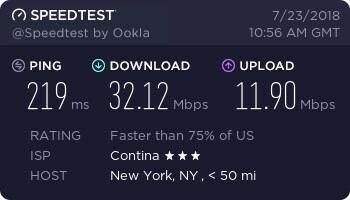 Does ExpressVPN support torrenting? Indeed, it does. You can use any of the VPN's servers to download using P2P applications like uTorrent or qbittorrent or your favorite peer-to-peer programs. Express VPN has a 24/7 live chat support to answer your queries and assist you around the clock. 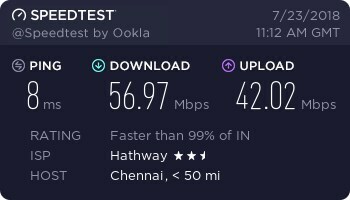 Note: While I get well over 180 MB/s on my wired connection, I only used my Wi-Fi for speed test purposes. Because Wi-Fi is what everyone uses. 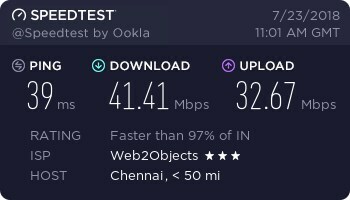 Can only use the VPN on 3 devices at the same time. While there is no Free version available, you can use the ExpressVPN 30-day trial version option, where you pay for a month's subscription. This allows you to get a refund if you are not satisfied with the service. We have 3 one year Express VPN account subscriptions for our readers. If you are interested, you can participate on the giveaway using the widget below.